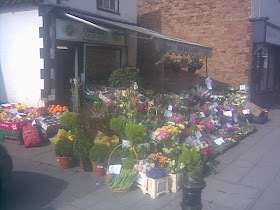 One of the bonuses of vacationing away from resorts is that Horncastle's shops and prices are for the resident's everyday living and aren't inflated to pay the costs of a Park or holiday centre. The supermarkets struggle a little bit as shoppers can all to easily source a Cash & Carry type Morrisons, a Skegness Lidl or the main Tesco at Lincoln if they felt Horncastle's prices to be too expensive. Laid out to a compass, the High St and 4 directions all have a hidden surprise or two. 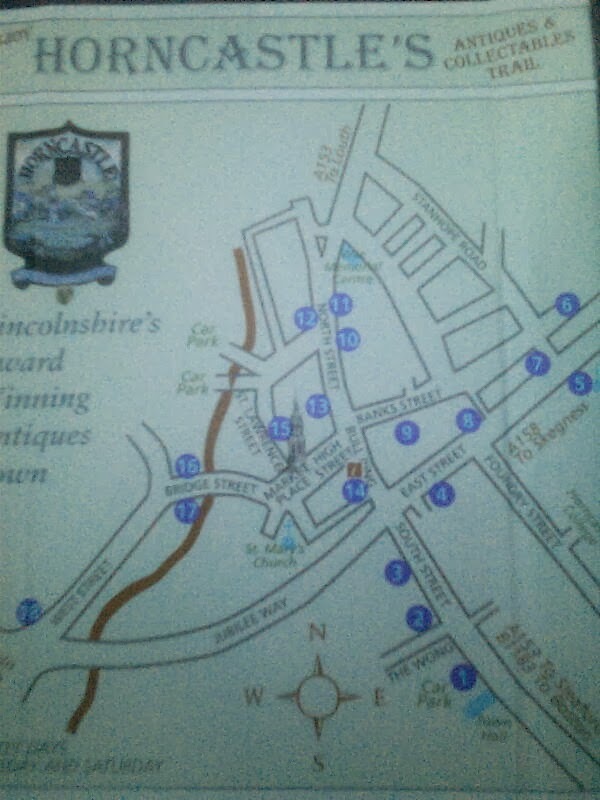 Starting at the Lincoln side of town, a ramble round the town shows Friskney's Showrooms having the best prices for gloves and other protective gear (Jacksons are found further out over the Lincoln Rd, whilst Travis Perkins are just off Bridge St.). On the corner is No.29 , who do the best size mug of fresh ground coffee with WiFi; with a drinks licence just granted, breathalyzer busting hot toddy's are now available as they open as a bar on Fri & Sat evenings. 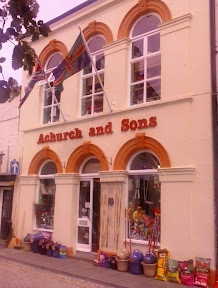 Across the road from No.29 is Horncastle Antiques, with multiple rented areas, that are probably among the best layed out in the town. Opposite again, and Hare's have helped me furnish two properties with beds, bookcases and cabinets, and pick up small tools for work and my cycling hobby. Inbetween is a milk bar that does cooling milkshakes in summer, and an expanding menu of hot snacks during the colder weather. Passing the Launderette, which is always a godsend to those visiting, the town centre has it's own treasures. The place for ready meals, snax, cans of pop etc has to be Heron's presently. In fine weather, instant picnics can be made up at low cost, with Cooplands also making up hot drinks and fresh sandwiches and meal deals. Perkin's newsagent across the cobbles can order books and has a varied selection of magazines and gift possibilities. Also the cobbler and keycutter often has a window of good gift ideas, with engraving and key cutting available (more in the antiques post). The Pop-In cafe is excellent on price and does meals including Lincolnshire Sausages. You can pick your own breakfast of over half a dozen items, or with onions & mash as the in-dentured folks prefer. Achurch's Hardware probably could kit the whole town out with one of everything, and also does key-cuttiing. The new bike shop nextdoor to Perkins have left the town, but already fixed my bike for £17 when everyone else were quoting 3 figures for a new one.. they're still doing repairs and parts delivery and are in the photo album mentioned later. As a conduit to Him upstairs, St Mary's probably gives best value, although everyone has their favourites. Out of the 4 banks on the High St, it's the one making the least obscene profit that should attract, I opted for the HSBC, as the town joke is that it's the Horncastle Savings Bank Corporation. Stanley's electrical lighting shop by the zebra crossing, carries alot of stock and gave me a good price on a new kitchen spot array, kettle, heater, and ordered one or two lava lamps in. The newsagent by the zebra crossing was one of the main pay points of the town, with digital photography skills - since Bill Aaron's retirement it's morphing nicely and finding it's own character with 2nd hand goods. Of the 7 charity shops, ironically, 4 are also on the high street like the banks, and tend to give a better quality than other more urban stores. The music shop on the Bullring corner orders CD's, and carries some unique gift ideas for music lovers. 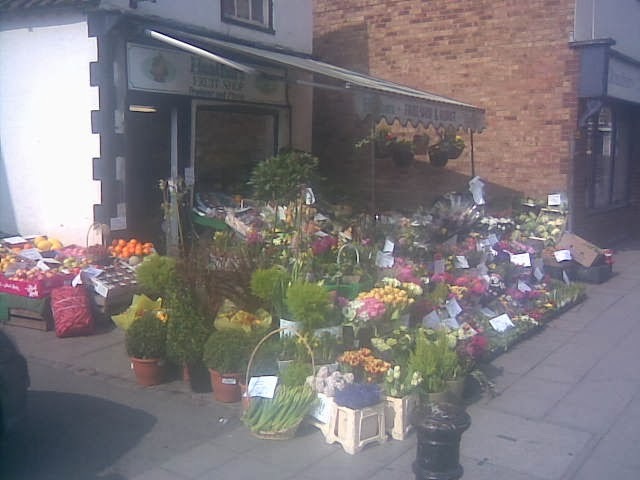 Nextdoor, Johnson's fruiterers could be relied upon for Interflora and a varied display of local produce with a low carbon footprint, but have just retired 7/15. Longfellows cafe were doing a home made vegetable pastie well worth a nibble, and it remains to be seen how quickly the building gets sold after refurbishment from it's fire. The bargain store adjacent the Bull Hotel has pallet loads from The Docks and a weekly changing stock. The library free wifi is another option to rest and surf your itinerary. 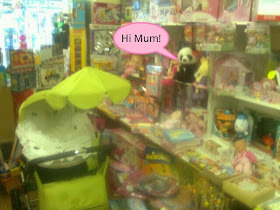 In the middle of the High St is the mum's and toddlers shop, Precious Moments, with buggies, toys and infant wears. I've not seen a babywear shop as large for such a small Ville as Horncastle, and toy collectors can find series gifts like Thomas the Tank & Barbie etc. Touchwood Pine must get an honorable mentions for it's gift ideas and bespoke furniture service. Further up, the Sweet shop seems to be a favourites now with the local infants and adults alike, being stocked to the rafters with treats. Toycastle has now closed, but still has some items in her husband's pound shop by the Bull. In the same area, up the arcade at the rear of the jewellers, handmade teddies, chocolates and cards could be found - it's new owners, JACS, experienced curio sellers with an eye for pastel gift creations. 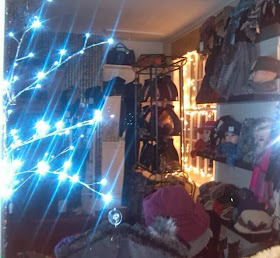 The Grace's Boutique women accessories and First Clothing prove their value with repeat customers; Grace's moved into larger premises 2013 and considerably expanded her Parisienne and Italian clothing lines for ladies. 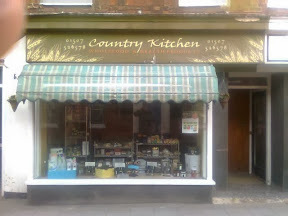 The Country Kitchen health food shop is invaluable for advice; some Vogel natural vitamin C tablets I found very useful. Nutrition is probably one of The major factors in Western disease, since chemical companies took over 'butter', 'milk', sugar and 'bread' production, and the supply of re-fined pasteurised products. Horncastle angling have moved up from Spilsby and have surprisingly low prices on quality outdoor gear. Further up at the top of the street the Hobby house have saved the day a couple of times with glues, tapes and scissors, and again are a source of gift ideas . Kemp's hardware tends to stock emergency items, with coalite, parafin and lanterns, stoves, candles etc.., or the place to go if putting together IKEA, and screws are missing. On the otherside of North St, Clare Boam's old Co-Op will endeavour to get items if firmly requested. They're one of the few to test and buy or sell 2nd hand electrical items. Quite often it's cheaper to look for an old picture frame the right size you want, and buy it whole with it's picture, than try and source a frame bespoke. .....are mainly antiquarians....much quality finds it's way here, from grand pianos and snooker tables, hunting apparel and lace, to pearl and amber; there's also CCTV watched places to park, whilst loading. Great Expectations is my favourite haunt for lavalamps. Really, they should charge admission at the door, the place is a real museum . Tim Smith Bookshop is a rummage of paperbacks and pictures and CDs. Many coursework textbooks from QEGS previous years students can find they're way here, and are often invaluable to supplement 'the latest' A level required readings. Heathers fruit and Flowers across the junction often have a good pot plant selection, with Dutch blooms delivered regularly. .....again, are mainly antiquarians and can turn up a quality rarity. All are 'old-school' dealers, and enjoy finding the 'real-deal' curios. The 'rescued' Town Hall has started doing fayres and auctions again, which are publicised in the local press and on flyers about the town. A mile down the road, the Service station opposite the Industrial Estate is the local catch all and stocks a contra batch of magazines to the A listers in the town. Adjacent is the new Factory Shop supermarket, which is worth the walk or drive for a perusal. Robinsons electrical are now the premier stockist in the town and do a competent repair service and their prices compete with those of Argos in Skegness, where a gallon of petrol can be added to the price. Tesco is the place for a mobile phone in Horncastle, since a large High St provider have yet to be tempted, despite the central County location, numerous offices and factories and large catchment area (3.14x10x10miles). Pricewise, Tesco seems to have the beating of the two CoOp's, and I suspect one will become another High St brand before long, as it was busier when derelict. The One Stop newsagents in the Bullring is now Tesco owned and has a free ATM on the premises. At the time of writing, vacant property included the Angel Inn (now an Italian Restaurant), Yates and Greenoughs large electrical store (now Eyeglasses) and a large oddments store in the Bullring, now (PC.Hut.co.uk). The Town Hall frontage would make a great shop position, opposite the Mareham Rd Estate catchment and with a zebra crossing in situ. It is the old Roman vecus/market, so perhaps an Italian may eventually recognise good real estate again soon. are in a little photo album, and may allow perusal and even online or phone ordering prior to travelling. Oslincs Ostrich Burgers, and Homemade Icecream. Military and Outdoor Camping, Orientiering, Survivalist. The 2011 Christmas Market was better represented than for many a year, with around 60 stalls, and was well worth a visit. The market dates from 1231 when the Charter was granted, but this only officialised a trade spot that has been here since pre-Roman times. With lower overheads, they can sometimes be a weekly source of better prices, as can ordering online. 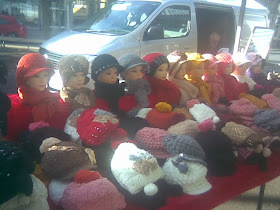 An occasional stall holder that has moved to this is Lincrafts who specialise in cuddly toys. Mortons Classic Magazines website allows discounted access to many familiar monthly titles. More (shop's) websites appear in the antiques post.